Q: What is an Avadhoota? What is the avadhoota awareness? A: A man who always exists in super conscious state and is a perfect and complete renunciate can be called an avadhoota. He has no interest in any worldly emotions, achievements, name, fame or possessions. He usually possesses all the siddhis (spiritual powers) that happen automatically with spiritual evolution, but, does not express them unless extreme necessity happens. He usually has no transactions or give and take with the world and exists on earth only to guide people to liberation. The world of an avadhoota is perfect because He usually exists in His inner world, basking in the glory of supreme consciousness. An avadhoota never gives lectures nor writes books. His life itself is His teaching. The consciousness level of an Avadhoota can be compared only to that of the supreme almighty. We cannot fathom it or explain it. 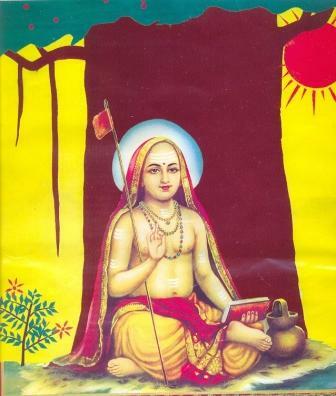 If I may borrow the lines of Adi Shankaraacharya, we could possibly get a glimpse of the awareness level of an Avadhoota. Mind you, the following lines are not expressions based on intellectual understanding from the mind of an Avadhoota, but His living reality. A: Yama – Niyama – Asana – Praanaayama – Pratyahaara – Dhaarana – Dhyaana – Samadhi. Niyama = Saucha (Clean body and mind ) Santosha(Happiness), Tapas (discipline & thereby mental control), Svadhyaya (which means becoming close to oneself, through meditation and self-exploration) Isvarapranidhana is to lay all your actions at the feet of God). Asana = Postural Perfection, while mind kept steady over Self. Praanayaama – Perfection through breath. Touching the subtler plane of our existence. Concentration through breath control. Health through proper breathing. Pratyaahaara – Sense control. Detaching senses from sense objects through consistent practice. This does not amount to suppression of desires. Dhaarana – Concentration on the sub straatum – the seat of desires and observing them like a witness. Desires reduces systematically and awareness increases gradually. Dhyaana – Meditation. Awareness on the self or what ever is the object of meditation. Samaadhi – One with the self and from there to the supreme self or one with the object of meditation. Existing in one consciousness level. One awareness level. Unity. Oneness. Prakamya (ablity to become invisible). Siddhis are automatic, as we evolve. Preserving them as sacred keeps our potential intact. Mis -using them degenerates our spirituality. The equation is simple. If Moksha is the purpose of our existence, we have to go beyond the temptations of siddhis and stay steadfast in the path of liberation. Siddhis could pull a saadhak down to the quagmire of karma. Parakaaya Pravesha – Ability to enter another body – even a dead body. Haadi Vidya – Siddha has no hunger nor thirst. This vidya helps detach from the requirement of food and water. Kaadi Vidya – No seasonal changes affect the man. Seasons cannot touch him. This also means winter and summer cannot affect the Siddha. He does not feel heat or cold. Vaayu Gaman Siddhi – Siddha becomes lighter than air which facilitates His air-travel. He travels from one place to another in a few seconds. Madaalasa Vidya – Siddha increases or decreases the size of His body using this knowledge. 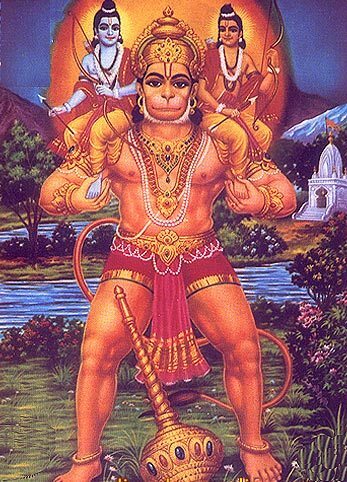 Hanumanji has famously done this many times. Kanakadhaara Siddhi – Siddha acquires unlimited wealth through this siddhi – if he chooses to. Avadhootas are hardly bothered about money and wealth. They live in a perfect world of supreme consciousness. Praakya Sadhana – Directing souls to wombs – even to the extent of motherhood to barren women. Soorya Vigyan – Through the power of rays, transformation of materials are achieved. Sun rays are used to nullify and re create materials or transform them to the form they choose. Surya vigyan is an ancient technique used by siddhas. Mrita Sanjeevani Vidya – Rejuvenating the dead. Dead can be brought to life using this siddhi. Siddhas are not bothered about these powers. They have no necessity to prove to anyone. They exist in bliss state always. Siddhis are based on eligibility. It happens when the seeker is ready. But, siddhis are also double edged swords. They can prevent spiritual growth and essentially moksha(Salvation). Do not get stuck with siddhis or even the thought of siddhis. Let it come and go, if needed be. Stay always close to your soul and the Brahman. Understand that the potential of every being is the same, irrespective of whether he is rich or poor. The awakening of it makes the difference. None are empty. None are high or low. All possess the same quality of soul. All souls are children of the supreme soul. All belong to the Supreme Father. Everyone’s ultimate aim is to reach Him. Every body has a duration. Every form, name and identity will dissolve and disappear sooner or later. No one is immune to changes. All are one. ONE SOUL. All are SHIVA. Shivoham!!! Once Sai Kaka, a siddha told me that in that state of Avadhuta, the state which is described here by Sri Mohan ji so beautifully, whatever these Avadhootas utter, even if it is a gaali (bad name or abusive words), it becomes a mantra, and if they scold someone, the person is considered lucky and if they slap someone it can impart realization at once or at least that person will get rid of loads of his bad karmas. They by themselves are in communion, in fact are God themselves, they do not perform miracles deliberately, there is no need for them, it is whatever is happening around them becomes miracles for us. For example miracles took place all around the Ramana Maharshi, they took place in a most natural and straight forward fashion. He said on many occasions that there was no separate ego within him to perform a miracle therefore whatever happened occurred naturally through divine will. Thank you Mohan ji for this nice article. With love and highest regards. deep gratitude and surrender at HIS FEET.. I have tried several times to email this great article to someone but apparently it’s not working. Can you help? Good information about who is an Avadhoota. Thank you very much for the information.